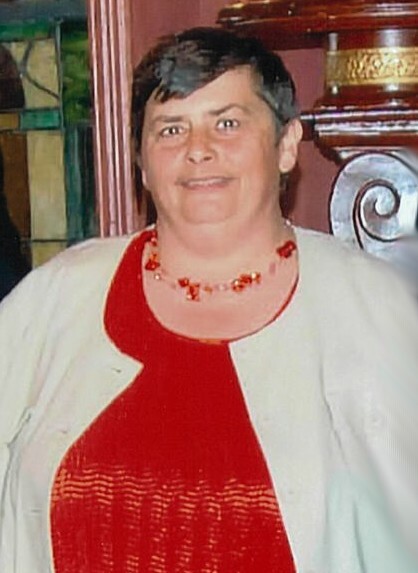 It is with deep sadness that the family of Margaret “Sandy” Gass announces her peaceful passing at the Saint John Regional Hospital on October 29, 2018. Sandy was born in Woodstock, NB on December 30, 1956 to the late Ralph and Della (Schlyer) Wright and was the loving spouse to her late husband, Timothy Gass. Sandy was a pharmacy technician by trade, working for 38 years in the Saint John Regional Hospital, but she was a caregiver to everyone. She volunteered with the Joshua Group and gave everything she could, from her time to buying gifts to providing food and company. All the children loved her. Sandy loved kids too, and celebrated Halloween and Christmas with such a sense of joy that it spread to everyone. Even while not feeling the greatest this year, she still made 250 treat bags for the kids at Halloween. She was a quiet person, who liked to sit and watch and listen to the birds sing and fly, and had such a calming demeanor that the birds would land on her shoulders. She was smart and kind and gentle and was taken far too soon. Her family, friends and coworkers will forever miss this woman who meant so much. Sandy is survived by her sons Trevor (Jennifer) and Cole, 2 precious grandchildren; Desirae and Ethan, brothers; Richard (Laura) and John (Sarah), sisters; Helen Horton, Mary (Frank) Chisholm, Marian (Brad) Goguen and Gladys Wright. In addition to her parents, and the love of her life Timmy, she was predeceased by her brother Kenneth Wright. Arrangements are entrusted to Fundy Funeral Home, 230 Westmorland Road (646-2424). In keeping with Sandy’s wishes, a private graveside service will be held on Friday, November 2, 2018 at 10am at Fernhill Cemetery. For those who wish, remembrances may be made to the SPCA Animal Rescue League in Sandy’s memory. Online condolences may be made at www.fundyfuneralhome.com.